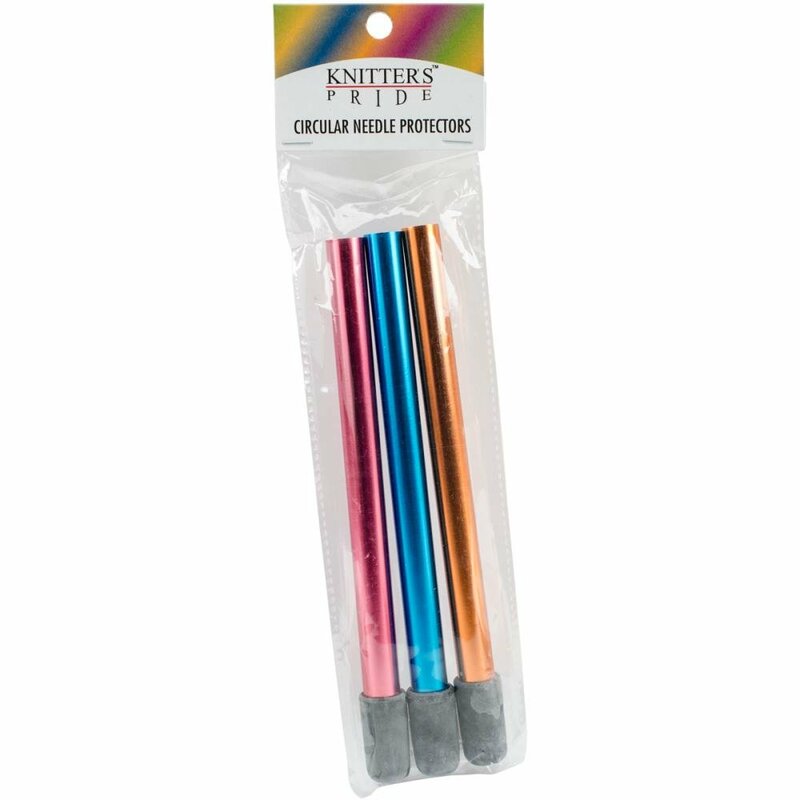 Knitter's Pride-Circular Needle Protectors. These protectors prevent accidental breakage of needles in storage and keeps the join between needle and cord safe. Holds circular needles up to size 9/5.5mm. This package contains three 6-3/4 inch circular needle protectors.